A Premium Daily Multi, lovingly crafted with a light fruit taste and significant amounts of key nutrients for increased energy. A simple, economical way to achieve a daily foundation of good nutrition. Natural Vitality Organic Superfruit, Veggie and Fruit Antioxidant Blend, featuring 24 organic superfruits, veggies and fruits, including certified organic acai, noni, goji and pomegranate. Shake vigorously before taking (natural separation may occur). 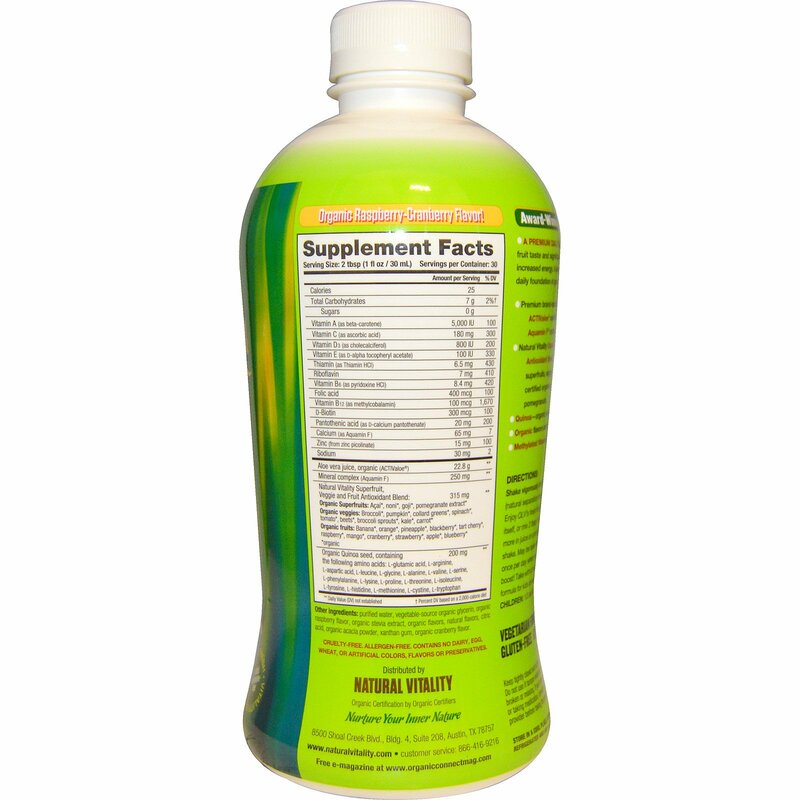 Enjoy OLV's fresh fruity taste by itself, or mix 2 tbsp (1 fl oz) or more in juice or a morning protein shake. May be taken more than once per day when you need a boost! Take with a meal. Great formula for kids as well! Purified water, vegetable-source organic glycerin, organic raspberry flavor, organic stevia extract, organic flavors, natural flavors, citric acid, organic acacia powder, xanthan gum, organic cranberry flavor. 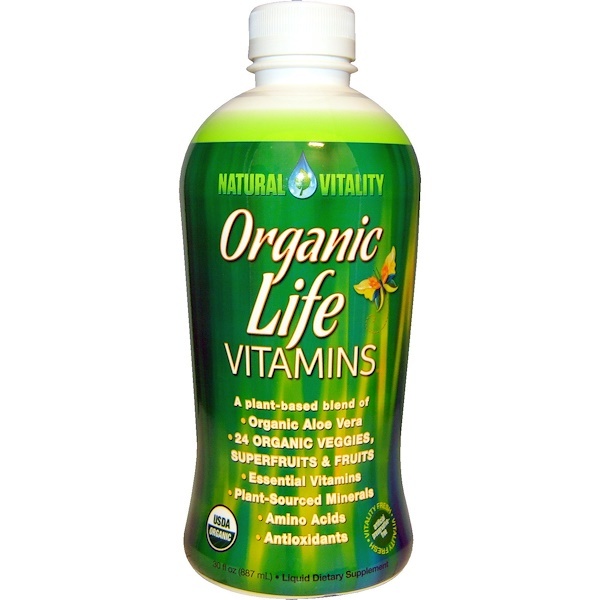 Contains no dairy, egg, wheat, or artificial colors, flavors or preservatives. Keep tightly closed and out of reach of children. Do not use if tamper-evident ring or seal is broken or missing. If you're pregnant, nursing or taking medication, consult your healthcare provider before taking this product. Store in a cool place. After opening, keep refrigerated and use within 60 days.